This article describes the sample located in the <UnigineSDK>/source/csharp/samples/App/GLTKAppForm/ folder. 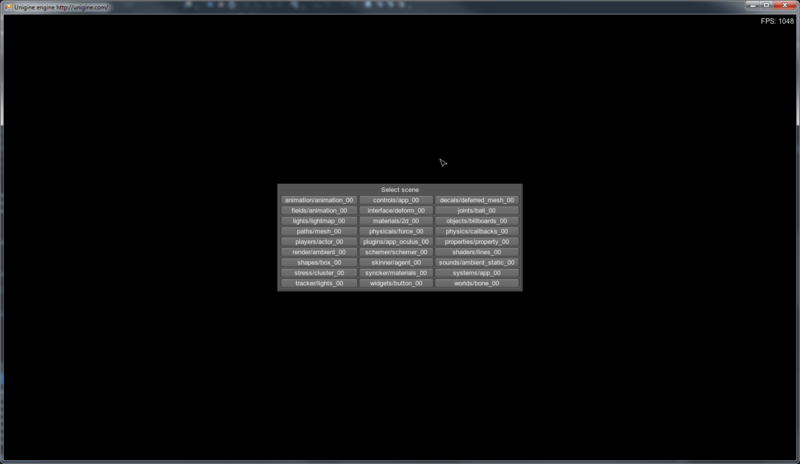 Initialize OpenGL by using OpenTK library. OpenTK library will be installed automatically when you install UNIGINE SDK. Open the Visual C# main_x86.csproj (or main_x64.csproj) project file located in the <UnigineSDK>/source/csharp/samples/App/GLTKAppForm/ folder. 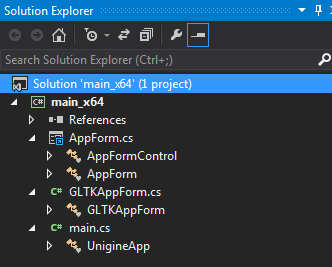 GLTKAppForm - inherits the AppForm class and initializes the graphics OpenGL API in the Windows Forms Application via the OpenTK library. AppForm, AppFormControl, GLTKAppForm are defined in the Unigine namespace.